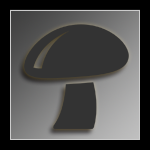 I'd like to announce that we recently started a new forum for the German Speaking Magic Mushroom Community. Hope it's okay to announce it here - we have high expectations as to the quality of postings, however we'd like to have more active users. Edited by Sidestreet, 26 November 2013 - 10:00 AM. Almost correct. The u's umlaut is missing. As replacement for German umlaut vowels you can substitute ä->ae, ö->oe, ü->ue. Ah. I don't know how to make the umlaut with my keyboard! So viel Glueck, und vielen dank fuer den Unterricht! Please feel free to drop by any time, and let us know how it's going with your site! Great luck to y'all , spread the word, and plant the seed.